Having finally joined Arsenal from Borussia Dortmund during January’s transfer deadline day for a club-record fee of £56m, the Gunners have announced – according to a report published by Metro – that Pierre-Emerick Aubameyang will don Thierry Henry’s coveted number 14 shirt for his new employers. After Theo Walcott, who formally claimed the renowned jersey, left the Emirates earlier in the month to ply his trade for Everton, a window of opportunity arose for Aubameyang to make the squad number his own, a prospect which seemed all too convenient for the Gabon international striker. Upon his arrival in north-London, ‘Auba’ – speaking to Arsenal.com – gleefully exclaimed: “I think the club have such a big history and have great players like Thierry Henry who is an example for all strikers. ‘Titi’ certainly appears to be one of the 28-year-old’s most influential inspirations, although if Aubameyang is to replicate the enigmatic Frenchman’s prolific record for the club, he’ll have to start firing almost as soon as he steps foot on the turf in the Premier League. Henry spent 8 years at Arsenal and personal accolades walked hand-in-hand with collective accomplishments. 228 goals is what the legendary attacker managed to notch throughout his exceptional career on English soil, a record which makes him the Gunners’ undisputed goal scoring king. Emulating Henry will be no easy feat, but having the ambition to do so is a spiriting signal of intent – Aubameyang netted freely for Dortmund, so perhaps given his confident demeanour, the former BVB hit-man is raring to terrorise opposing defences as soon as conceivably possible to justify Arsene Wenger’s bank-busting investment in his profound offensive attributes. 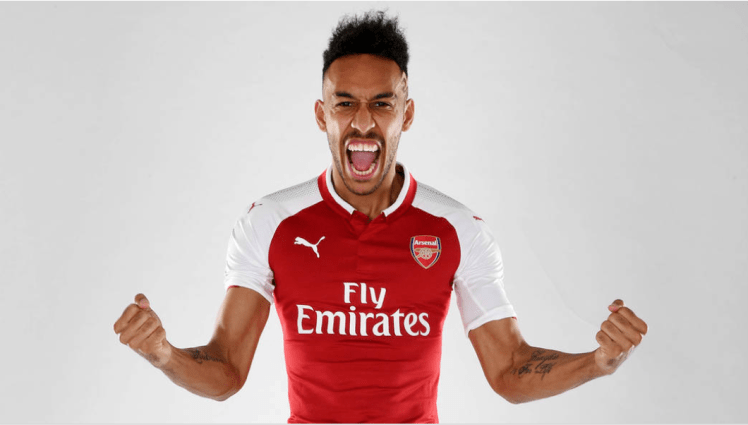 Share the post "Arsenal announce Pierre-Emerick Aubameyang’s coveted squad number"